Last seen some six or seven years back, Dublin’s HAL have made good their return. Armed with the new four-track ‘Down In The Valley’ EP - a pocket sized taster of what’s to come with their long awaited second album ‘The Time The Hour’ in April – the trio make their intention clear, to continue where they left off. 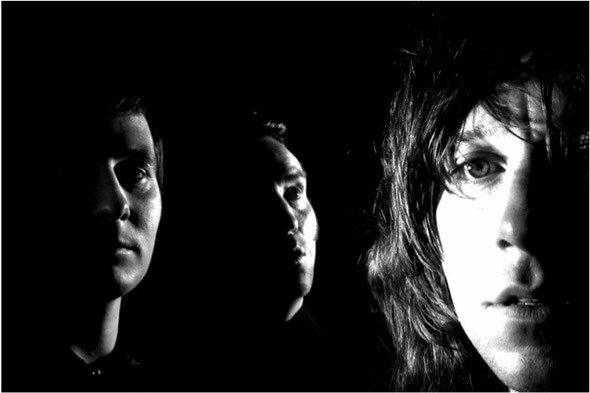 Having formed in 2003, they were then signed by Geoff Travis at Rough Trade in 2004. The following year saw the release of their eponymously titled debut awash with superlative critical acclaim, numerous awards both at home and abroad and healthy sales. Later, having experienced writer’s block, years travelling and rediscovering his innate knack of penning a song, singer David Allen returned to Dublin and again hooked up with his brother Paul and Stephen O’Brien to re-ignite the HAL torch. Opening the account, title track ‘Down In The Valley’ - all multi harmonies and keyboards marks out the ground HAL like to inhabit, ably backed by the equally sublime beauty of ‘Why Do You Come Here’ coupled with another wonderful vocal that appears to cascade over the instrumentation before dissolving seductively into a Scritti Politti-esque finale. On previous outings both Phil Spector and The Beach Boys have been mentioned. It becomes apparent no more so than on the final two tracks that comprise the EP (along with a Lennon-esque dash of drama) that they still retain their love of West Coast pop and are able to craft their own original vein of songwriting. Released on 27th February, the EP will be available on CD and digitally via all usual outlets. The album ‘The Time The Hour’ will follow 16th April.